See article accompanying this article online at www.dailystatesman.com about a mother and son fur trapping operation. 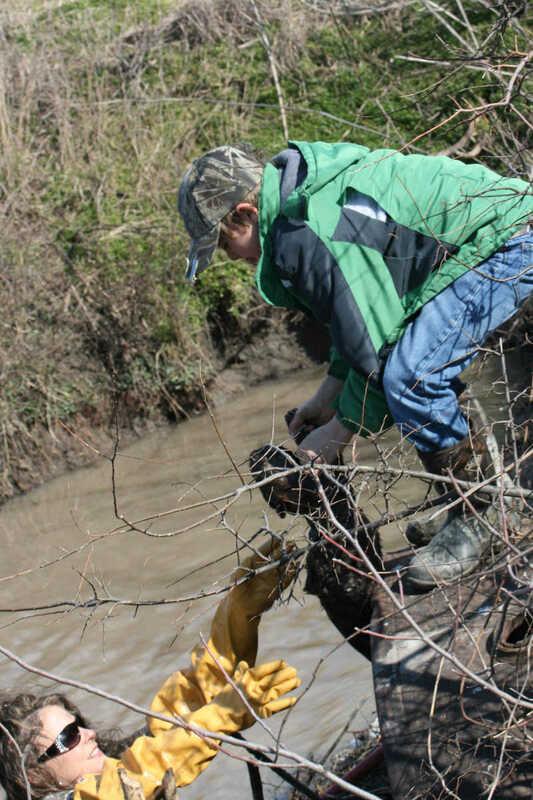 Leslie Bruner-Thresher and her son, Lawson, check their traps daily after school. 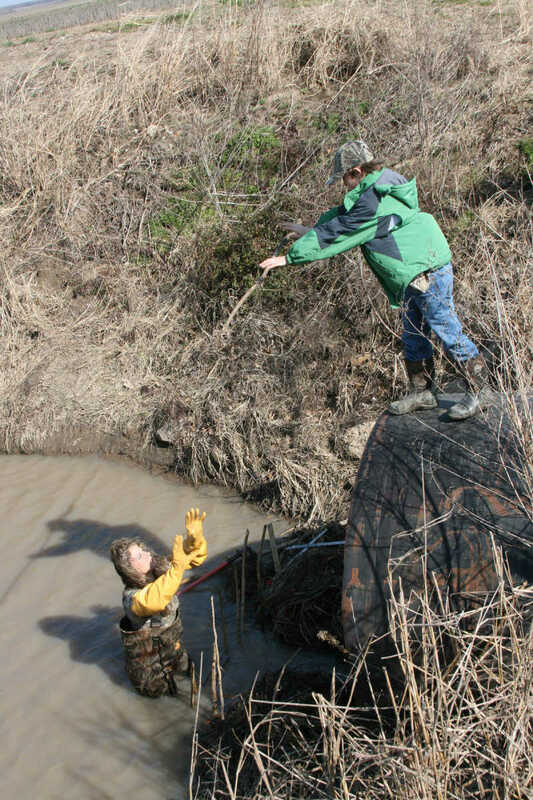 Leslie Bruner-Thresher hands up a successfully trapped beaver to her son, Lawson. Though beavers play a valuable role in nature, they also cause damage to drainage ditches in Southeast Missouri. 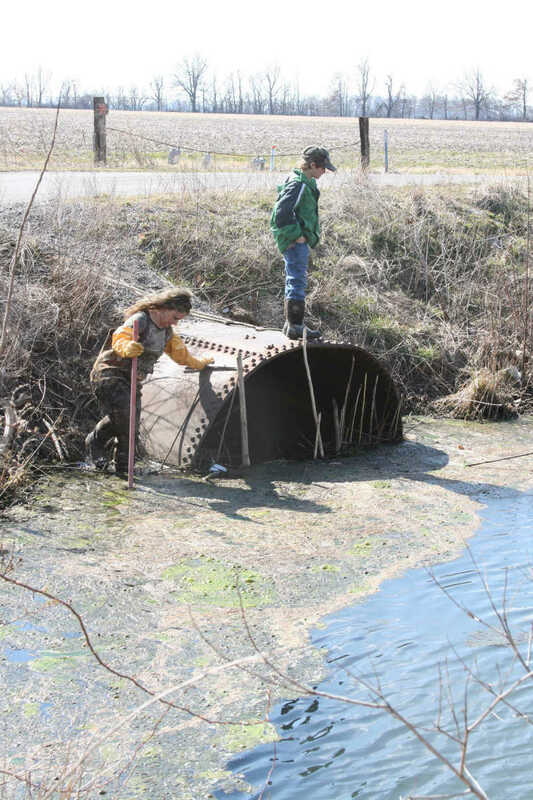 Leslie and Lawson work together to help minimize damage to their community drainage ditches. 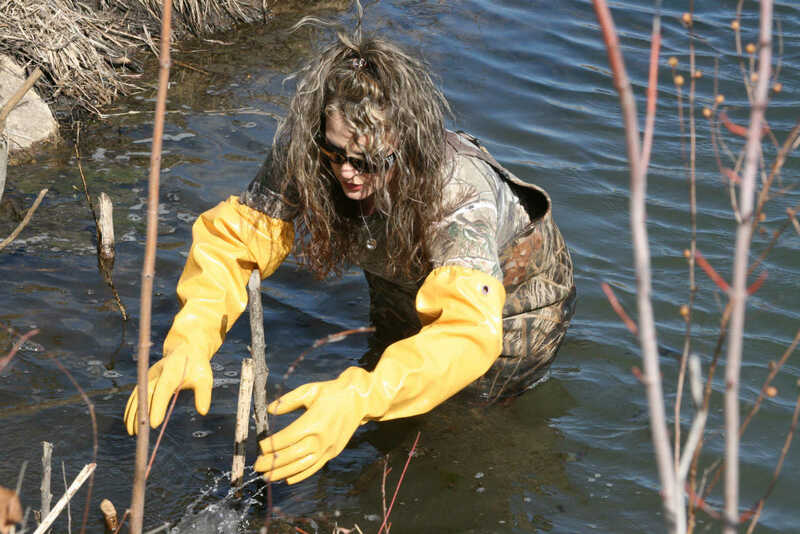 Leslie Bruner-Thresher is shown as she is about to retrieve a beaver caught in one of the traps she set along a drainage ditch in Mississippi County. Lawson tosses a large Beaver-chewed stick down to his mom, who places the sticks together close enough to guide beavers into the trap, but wide enough that otters can slide past the trap. The duo are careful to take precautions that help determine which species they are more likely to trap. 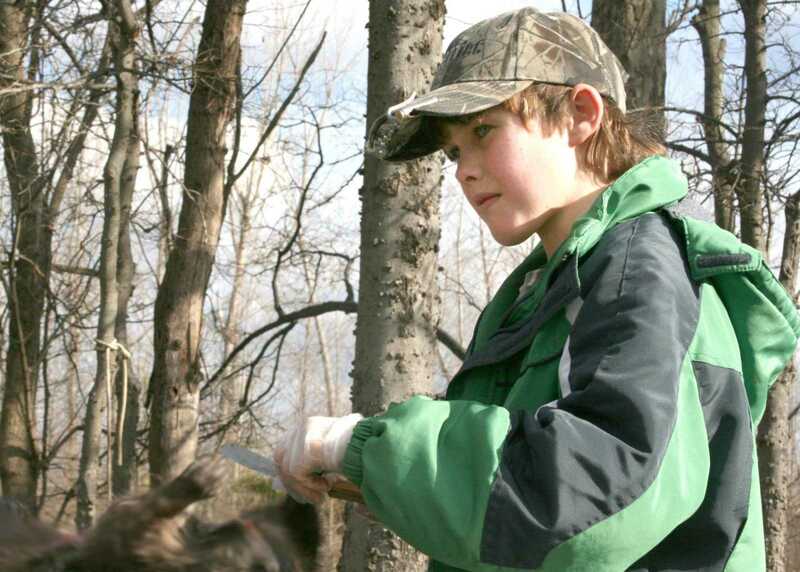 Lawson skillfully processes a beaver after checking traps with his mother, Leslie Bruner-Thresher. Leslie Bruner-Thresher resets a beaver trap in a drainage ditch.